A dentist who specializes in periodontics is known as a periodontist, and this type of dentist specializes in the soft tissues of the mouth as well as the jawbone and the supportive structures which hold the teeth in place. 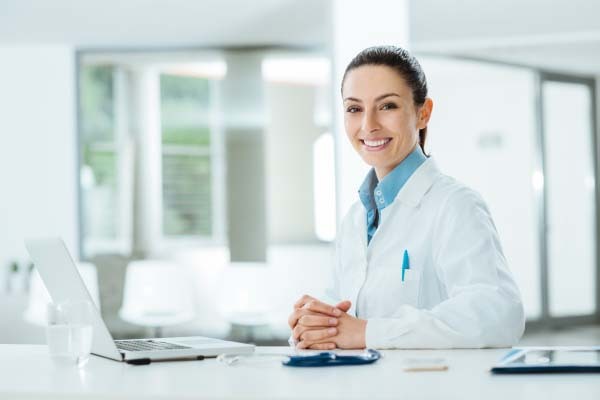 In order for a dentist to become a periodontist, they first must graduate from an accredited dental training school before taking an additional three year residency program to study periodontics. This residency will train the dentist in surgical and non-surgical issues and management of periodontal disease. Additional focus of periodontal training is the placement of implants. With the main concern of periodontists being preventing the onset of gum disease (periodontal disease), as well as diagnosing conditions affecting the jawbone and gums, gingivitis, periodontitis and bone loss. Periodontal disease is the leading cause of tooth loss world wide. Periodontists first address bacterial infections at the root of the problem of periodontal disease, provide treatment sand information on better oral hygiene and cleaning. Gingivitis – Inflammation of the gums, potentially causing pain and bleeding. Mild/moderate periodontitis – 4-6mm measurements of gum pockets it is classified as moderate periodontitis (gum disease). Advanced periodontitis – 6mm in depth measurements of gum pockets or more, potentially causing bone loss and teeth drifting out of place. Missing teeth – If teeth are missing, prosthetics are manufactured and placed in the mouth to restore functionality. Placement of implants – Restoration of teeth that are missing using prosthetics anchored into the jawbone. Osteoplasty (hard tissue recontouring) – Once periodontitis treatments are over, contouring of hard tissues restores a more natural looking smile. Gingivoplasty (soft tissue recontouring) – Gum recession causes teeth to appear longer, prompting the need for gum straightening in order to appear natural. Bone grafting – Sufficient bone must be present in order to anchor false teeth to the jaw. In cases where there is not enough bone to properly anchor teeth, a bone graft may be necessary. Deep pocket cleanings – Gingivitis and periodontics can progress to the point of needing deep pocket cleaning and flushing, in which the periodontist will administer anesthetic and clean and root plane the teeth to remove debris and infection-causing bacteria. Crown lengthening – As a method of exposing more tooth, the periodontist can remove gum tissue. Be sure to ask your periodontist for advice and potential treatments.